Movie monsters come in all shapes and sizes, from tiny Gremlins (don’t feed them after midnight!) to the towering Godzilla. But it’s a mistake to assume that just because they might be destructive, ugly, and extraordinarily grumpy, that they are all innately evil. Many are just misunderstood. Yahoo! 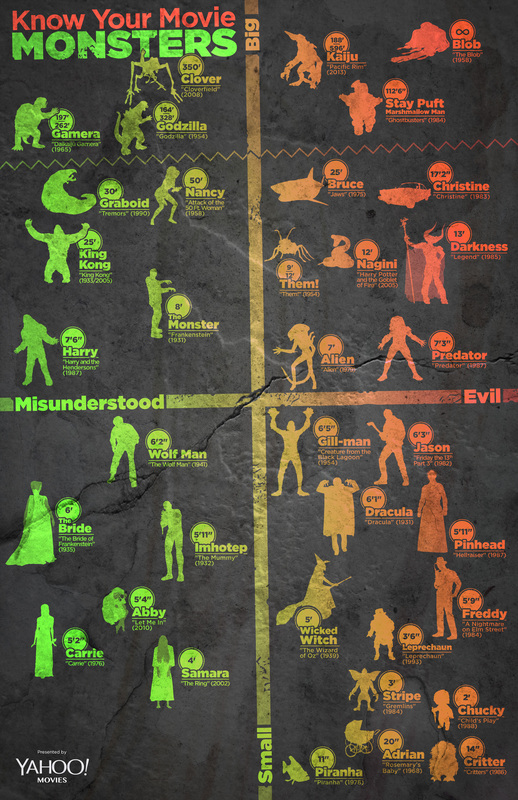 Movies created an infographic where they classified their favorite movie monsters, plotting out in chart form how big and how evil each one is in relation to each other. Take a look at how the monsters match up.